Posted by Admin01 on Aug 3, 2011 in rotator | Comments Off on Look and Feel great! The Prom is an exciting time where girls are supposed to Look and Feel Great. Posted by Admin01 on Aug 3, 2011 in rotator | Comments Off on The Social Event! 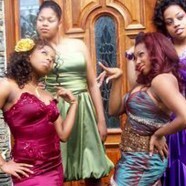 Prom is often the main social event of a girl’s high school season!